India-headquartered HCL Technologies has won a five-year managed services deal with TransGrid, the operator of the high voltage electricity transmission network in New South Wales and the Australian Capital Territory. TransGrid expects the services provided will support its mission of creating values by providing safe, reliable and efficient transmission services. Specifically, the contract will see HCL drive TransGrid's IT services delivery and also provide outsourcing support for service desk and data centre operations, security, disaster recovery, end user computing and applications. The outsourcing teams will be based in Australia. HCL has been in Australia for more than 20 years and currently has offices in Adelaide, Brisbane, Canberra, Melbourne, Perth and Sydney. The IT services provider primarily works with industries such as banking and financial services, retail, manufacturing, energy, government and travel. "HCL will transform operations to make it more efficient thereby optimising costs, which will then be invested in modernising and transforming," HCL Technologies SVP Michael Horton told ARN. According to HCL, the first wave of cybersecurity updates will focus on bringing certification to required standards before removing vulnerabilities. "In addition, HCL will be driving co-innovation with employees and will set up the TransGrid Academy to create a hub for talent incubation. We will invest in driving innovation through their employees to bring productivity improvements," Horton added. 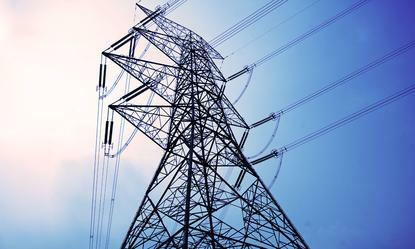 Although HCL currently works with a number of vendors globally, including Dell EMC and Microsoft, the company said the decision to use any specific technology will be up to TransGrid.